Johan Cruyff has recently voiced out that he found it “absurd” that Real player Cristiano Ronaldo has won the coveted Ballon d’Or award. This feeling is brought by the player’s performance while playing for Portugal at last year’s World Cup in Brazil. 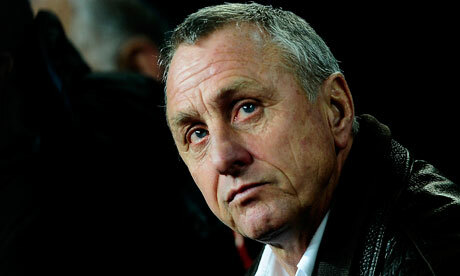 A former Holland player, Cruyff had landed that prize for three years and two of them were consecutive in 1971, 1973 and 1974. He feels that the trophy should have rewarded a player who not only excelled individually but who also contributed to bringing his team to a successful World Cup performance. As such, he believes that Toni Kroos would have been more apt to deserve the award. In a column attributed to him in De Telegraaf, the Netherlands legend wrote that this prestigious football award depends on a combination of individual talent and achievements. He further added that considering this point of view, it is “absurd” that a player be given this award for the second consecutive year while his performance was not excellent and his team did not win the most trophies. Cruyff compared the situation to 2013 when even though Bayern Munich had won almost every trophies, Ronaldo had still won the Ballon d’Or instead of a Bayern player. Now in 2014, Kroos played exceptionally well and was contributory to his team winning the World Cup and yet his name does not feature on the the final three nominees. Cruyff further added that Ronaldo’s performance was almost anonymous at last year’s World Cup. He even admitted that he would not be taking this Fifa award seriously anymore. This entry was posted in European Soccer, Soccer News. Bookmark the permalink.